Researchers from Duke University in the US have engineered tiny nano-particles which help boost the effects of vaccines in the lymph nodes of mice. The nano-particles resemble structures called granules which are released from mast cells (pictured above). Mast cells are found in the skin and help fight infection. They produce granules to communicate directly to the lymph nodes, making the immune response more effective. 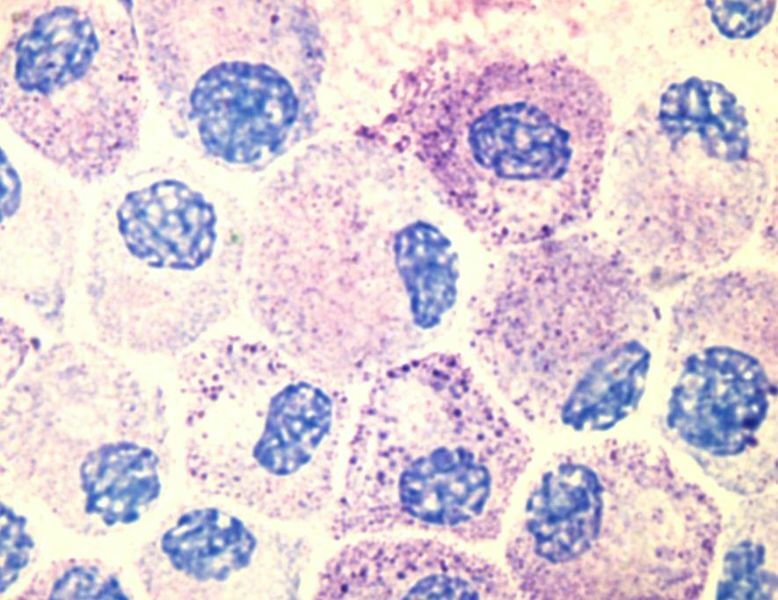 The mast cell granules contain a chemical called tumour necrosis factor (TNF) which help them move to the lymph nodes. The scientists' new nano-particles also contained TNF - meaning it would mimic the granules behaviour. To make vaccines more effective, medical researchers commonly add a "adjuvant" - a substance used to help boost the immune response. Most of these are chemical based and are believed to only enhance immunity at the site where the vaccine is injected - rather than going to the lymph nodes, where the most effective immune reactions occur. These new particles do move to the lymph nodes, making them more effective than their chemical cousins. In the study, the team of researchers exposed vaccinated mice to lethal levels of flu virus. They found that the vaccinated mice were able to fight off the disease and had an increased survival rate than those that did not have the nano-particle boosted vaccine. The researchers outline how their nano-particles could used different signalling molecules (other than TNF) for different disease causing agents (like viruses or bacteria) that might require a different immune response. The results of the study are published in the journal Nature Materials. Suggested Pupil Activity: Find out more about how nano-particles can or could be used in medicine. Here's a good place to start.